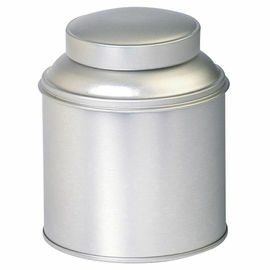 We have various shapes and sizes tin boxes for your selection, and tailor-made project is also welcome. Do not wait to send us your drawing,action today for tailor-made packaging for your wonderful products. 3. weight Above 10g according to your requirement. For health product tins,our products and printing can meet national food hygiene standards and environmental protection requirements, it has good sealing property, moisture resistance and keeping odor. Metal packaging tin box is more and more popular in the food industry, tea industry and more industries as the metal material is eco-friendly and recycalble. Tinpak, as one of best tin box manufacturer in Dongguan China, can produce variety of sizes tin box for you with first grade tinplate and food grade lacquer. This red food tin box is customised design. It is perfect to pack biscuit, tea, nut, chocolate and more. Besides the customized printing, Tinapk also accept customized embossment in the body of tin box. With eht embossed part of design or logo, this food tin box can help your products stand out and competition and enhance your brand. This red tin box is 3-pc structure ( handle lid + body + roll inside body ). This red food tin box with no sharp edge can be a lunch tin box for children. Tinpak can provide colorful plastic handles to fit your design and product well.